From Albin Johnson, father of Katie, founder of the 501st. 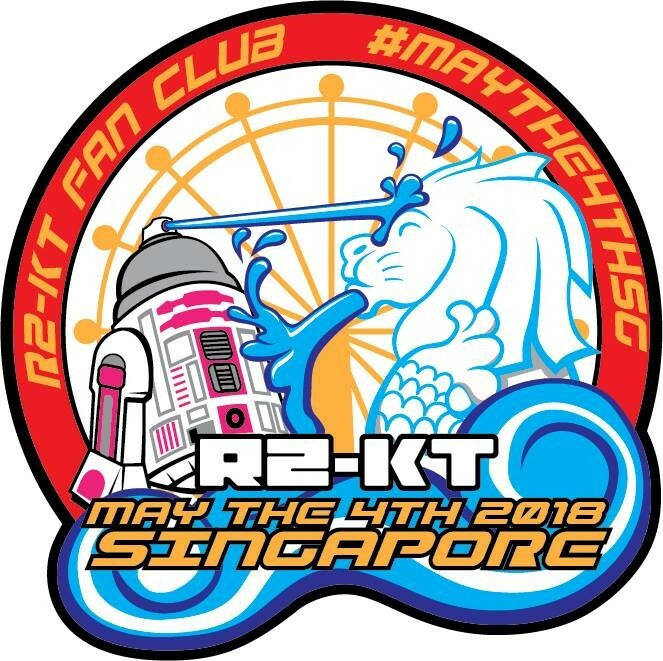 Good news - I've received permission from the illustrious Singapore Garrison to do a small run of their Star Wars Day commemorative patches! The fifty originals have already been reserved, but we are just a few weeks away from having new ones to provide. That means if you missed out, feel free to order as many as you like now! And if you only got one before, you can get a few extra now. Sweet! The new run will feature the same thread colors, stitching, and amazing design by Desmond Tay. They will not come with the commemorative card that was published for the event. For this reason, I'm lowering the price of the new patches to the standard $7 apiece ($5 apiece for orders of five or more). Shipping is still $1 per five patches or $2 for orders outside the U.S. Like before, this supports Katie's hospital, Palmetto Health Children's Hospital in her home town of Columbia. $500 raised so far - anything from this new run will be a nice bonus for them and their patients! Feel free to PayPal to r2kt@r2kt.com and include the message "KT is home!" in the transaction notes and we'll throw in a free KT temp tattoo or random patch from an earlier run. It's our way of thanking you for supporting this great charity. Let me know if you have any questions. Many thanks to the Singapore Garrison, Hansen, Jeff, Suhaimi, and the whole crew. Have a great summer!